One of the top beauty questions I am asked is about my hair. Women want to know how I get my hair to grow so thick. There is no secret to it. I really do nothing but help my hair do what it wants to do. 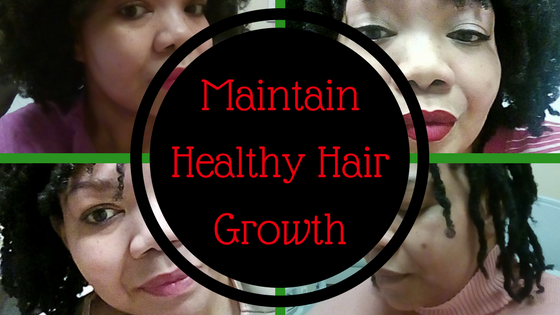 All hair wants to grow and be healthy. It is our job to make sure that it does. Now as far as hair thickness goes, there really isn't much you can do to make your individual hair strands thicker. If you were born with fine hair, then that is the thickness of hair you have. You can help to make your hair stronger, break less, and grow. However, if your hair has become fine or thinner over time , you might be able to fix that. Try a shampoo and conditioner that clarifies your scalp. The problem could be product buildup or dead skin cells blocking your hair follicle causing your thinning hair. Once the blockage is removed, your hair should grow back to it’s original thickness and fullness. I am a fan of oils. Oils are great for the scalp and the hair, even fine hair. You just need to find the right blend -- yes, I said blend -- of oils that work for you. You might need one blend just for your scalp and a different blend for your hair. Massaging your scalp with an oil blend that contains peppermint , tea tree , lavender , rosemary , cedarwood , or eucalyptus essential oil in it can help keep your scalp clear of dead skin buildup which can block your hair follicles and make hair grow in thinner or even block hair from growing altogether. Massaging also stimulate blood flow to the hair follicles feeding your roots promoting healthy stronger hair growth. Don't style your hair everyday but give your hair a break with protective styling. 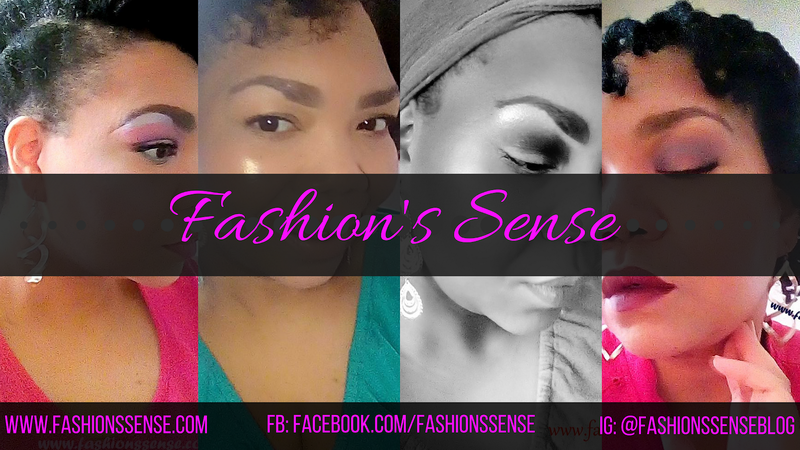 Daily styling can be a growth hindrance for natural hair. It makes the hair more susceptible to breakage, stress on the scalp, and if you heat style you can damage the hair causing more breakage and dryness. So protective styling gives your hair a break from being handled every day. On the flip side protective styles can put a strain on the scalp. Even if your protective style is a bun or ponytail, you are still putting stress on your edges. So, give your edges and scalp a break for a few days between protective styles. Even though I went over six months without washing my hair, I don't recommend doing so. If I had my way, I would've washed my hair at least every other week while I was in the nursing home. I do believe using a sulfate-free shampoo, conditioner, or co-wash that promote scalp health or help with hair loss will help fine hair greatly. I use Keranique shampoo and conditioner because they clarify my hair and are gentle. Pur'a'dor also makes great shampoos and conditioners and they have one specifically for curly hair. If your hair is not fine and you are not suffering from thinning hair, then find a sulfate-free shampoo and conditioner that cleans your hair but leaves it feeling soft and moisturized. I also do not recommend using too many styling products on your hair. I avoid hair gel like the plague. It coats the hair and attracts dirt and debris to the hair easily. Also, if you apply gel then the next day apply oils or other conditioning/moisture products to your hair, you will weigh your hair down. The weight of the styling products can cause your hair to break. Eventually, that buildup will leave your hair looking dull. Your hair will feel dry because no moisture is able to get to it through the buildup. My styling products at home are my hair oil blend, a leave in conditioner, and my fave product Not Your Mother's De Ja Vu Du I use it on dry hair when I braid, twist, or bantu knot. Sometimes I use whipped Shea Butter on my ends when it is close to the time for me to trim my hair. Trim your hair regularly. I usually trim my hair while it is braided. I find it is easier to trim that way. Plus, you can see the clean edges and I get a more even cut. I do this every three months. I clarify my hair once a month with a clay wash and every other week with an ACV rinse. When I clarify my hair it not only removes buildup that regular washing missed, it also brings my coils back to life. 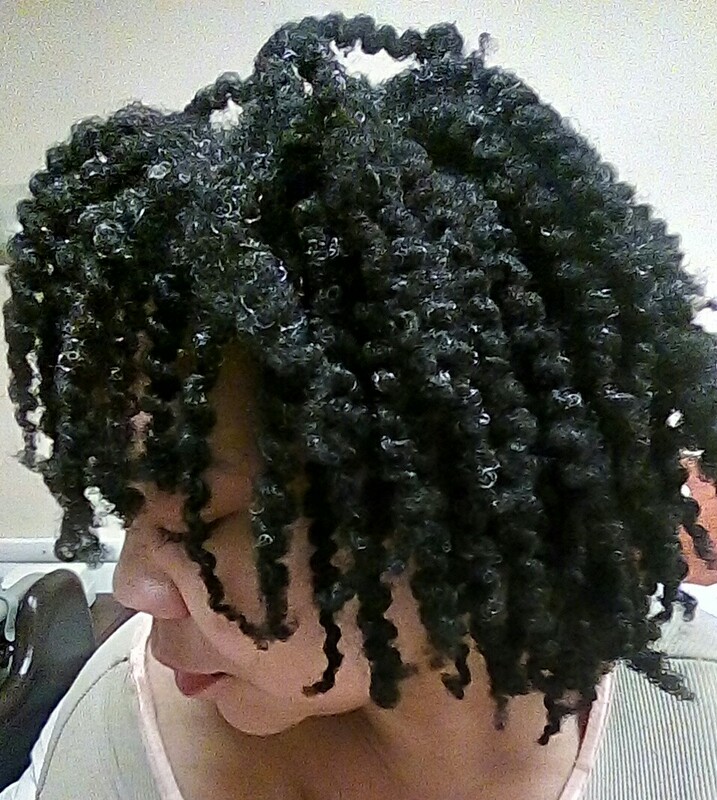 My coils are at their springy best after a good clay wash and light conditioning. 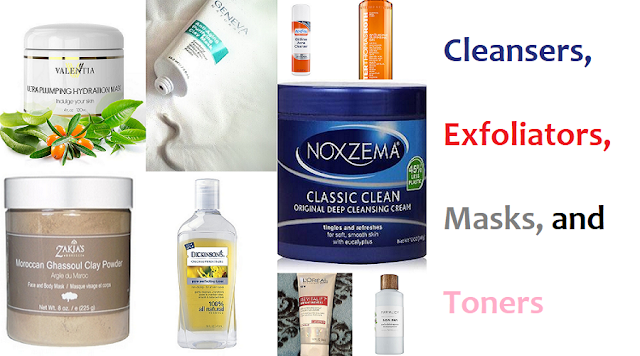 For clay washing I highly recommend using one of Terressentials clay washes and following the detox procedure. After that, you can continue with your own clay wash or continue using theirs. There you have it naturalistas. This is what I recommend for growing healthy, thicker-looking hair. You have to put time into it. Internally I also drink plenty of water and take vitamins daily. I don’t do the hair and nails vitamins, just a regular multivitamin should suffice. I decided that I am not going to heat style my hair at all this year. I will be doing length checks via stretching my hair while it is twisted or braided. It has grown. With my hair it is hard to tell because of shrinkage. Maybe next year I will straighten my hair... Maybe not. I do need a trim badly. Now it’s your turn, lovelies. What tips do you have to share from your own natural hair routine?